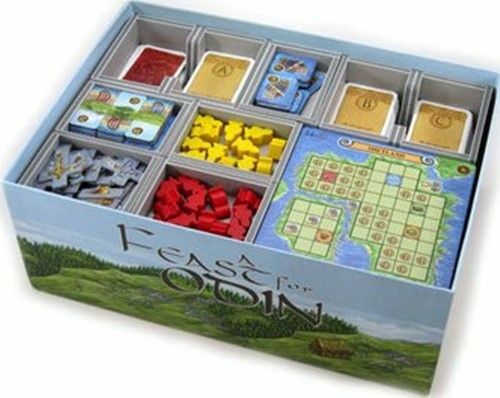 This insert is designed to be compatible with A Feast for Odin, and the Lofoten, Orkney, and Tierra del Fuego mini-expansion. The design provides both efficient storage and improved game play. Many of the trays can be utilised during the game, and they greatly aid set-up and clear-away times. There is space for all cards to be sleeved. The insert is designed to use the black plastic trays that come with the game, providing storage for the remaining game components. There is space provided for the two island tiles from the expansion.